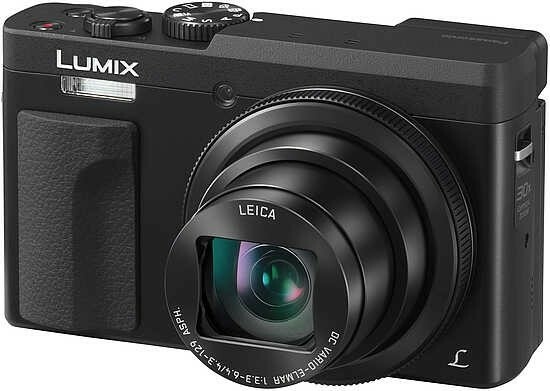 If you’re looking for a well-specced travel compact camera, then the Panasonic Lumix DC-TZ90 arguably offers the best range of different features currently on the market. It’s appealing to both entry-level users and those with a little more experience. The full-range of automatic modes, along with scene and creative modes are likely to appeal to beginners, while shooting in raw format and taking full manual control is something enthusiasts are likely to be drawn to. Being able to record 4K video, and also the 4K Photo modes is something which is likely to appeal to quite a few different people too. The tilting touch-sensitive screen is super handy for selfies, while the viewfinder is there if you need it, if not to be used all the time. Image quality is good in good light, but it’s not fantastic in lower light conditions. Whether that will be a problem very much depends on your point of view. If the Panasonic Lumix DC-TZ90 is a camera you’re mainly going to be using for holidays and days-out, it’s likely you’ll rarely need to nudge past ISO 400, but if you shoot a lot of low-light images, the TZ90 probably isn't the camera for you. Luckily, there’s plenty of other options out there on the market which would probably suit you better, such as the TZ100 which has a larger one-inch sensor. As for more direct competitors on the market, there’s the Canon PowerShot SX730. That camera offers longer reach in the form of a 40x optical zoom, but, it doesn’t have 4K video, a viewfinder, the ability to shoot in raw format, or a touch-sensitive screen. In the end, whether you’re drawn towards the Panasonic Lumix DC-TZ90 depends on what you’re looking for in a travel compact camera. It has an awful lot going for it, so long as you avoid shooting in low light.